Beautiful Pent House! 1 block to beach. Free Parking, WiFi! 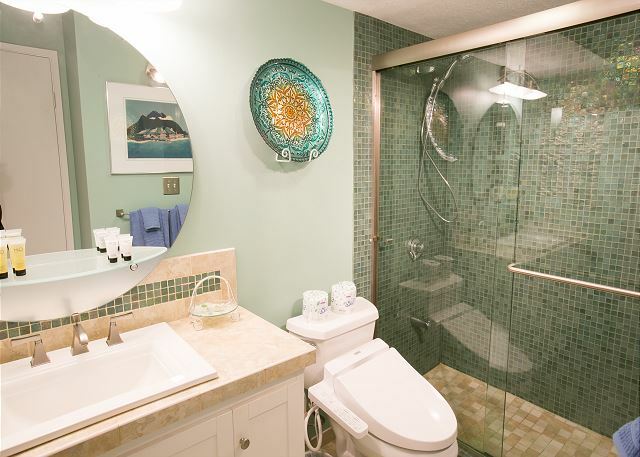 This property is located on the top floor (37th Floor) with a spectacular ocean view.location! This unit is in Tower-I. 3708-1 is as shown in online pictures and description. Awesome view as it is on top floor. Large pool area with plenty of lounge chairs. Barbecue area on the same level as pool worked well for us. Electric barbecues worked well, would be better without the $2 charge each time. A couple of small issues that could be improved. 1). Not enough towels, especially beach towels. 2). Could use a few more kitchen items, ie. barbecue utensils and storage bowls. Property management responded quickly to the few small issues we had. A little slow returning deposit but not a big issue. Overall, we enjoyed our stay and would definitely stay again. 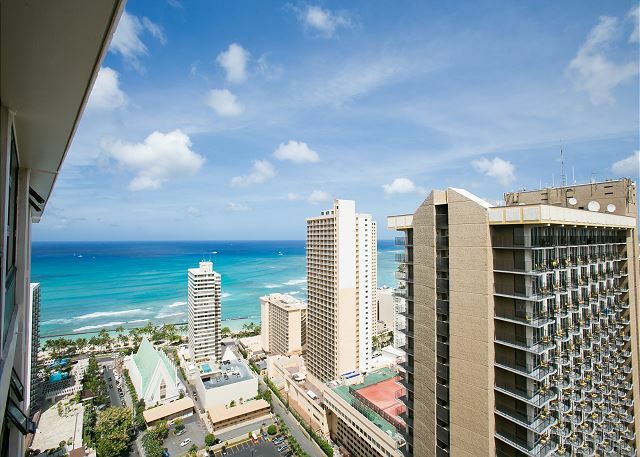 The location was great and walking distance to the beach and the main strip of Waikiki shopping. The condo was clean and parking was easy and free!!. there were amenities that made going to the beach fun ie chairs and body board. I will definitely stay here again! The view was perfect. The room was just right for us, very clean and nice. Great location. Love it! Steps away from the beach. 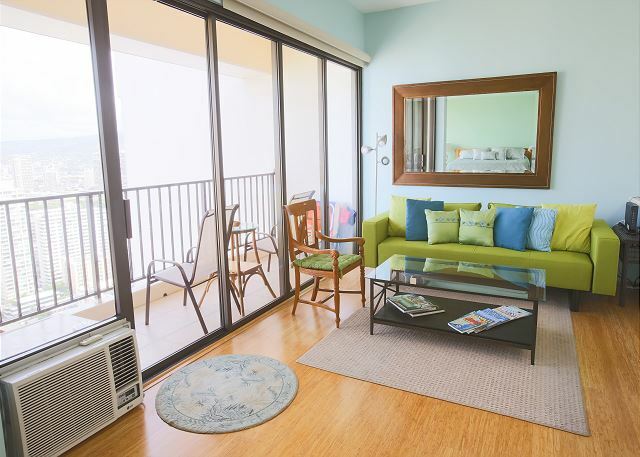 It was a last minutes trip to Oahu and the unit has beautiful views of Waikiki with nice amenities and a pool all very well maintained. We decided to rent this place for a week based on the reviews. 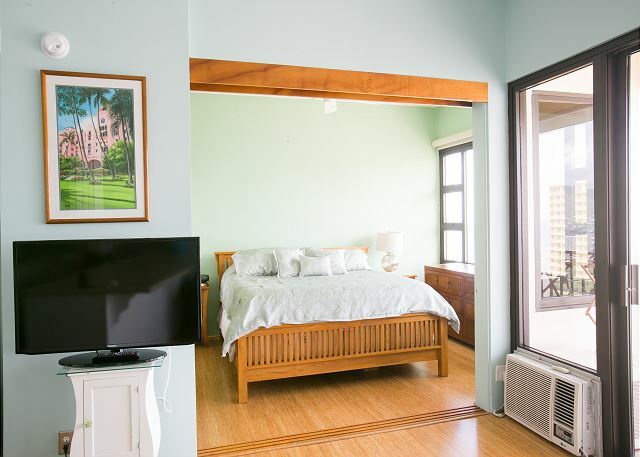 The location is only a 3-4 minutes walk to Waikiki beach. The place was very clean when we moved in except the green sofa. I wish it was cleaner as it turns into a sofa bed and for a family of four we needed to use it every night. The view from the lanai is beautiful. The washroom seemed to be recently renovated. The queen bed was comfortable. Water in the building was closed for about five hours on one of the mornings due to maintenance . When complained, Kaina Hale Hawaii Realty, Inc. responded by expecting us to deal directly with the building whereas we signed the rental contract with Kaina Hale. This is the only reason I am giving it a four star instead of five stars. A/C was good. Parking is included in the rental. Despite the initial lack of communication after our reservation was confirmed, our stay was good. We didn't get our check-in instructions until one hour prior to our check-in time. This wasn't something we were used to with VRBO reservations, and it didn't help that the host didn't work on the weekends. We had to call VRBO customer service to try to get check-in instructions. We didn't actually interact with the host, but we had everything we needed in the apartment. The apartment had a great view of the ocean from the bedroom and balcony. The kitchen was very well-equipped, and the bed was comfortable. The additional amenities like a playground, pool, and snack bar on the 6th floor were fantastic especially for our toddler. We also appreciated the free parking space! Overall, it was a fantastic stay but I would have appreciated a more timely communication from the host that includes a personal message to confirm our booking (not just an automated one from VRBO) along with check-in instructions. We were worried a bit when we couldn't get in touch with the host for two days prior to our stay. This unit was absolutely perfect for my boyfriend and I! Very clean and up to date, gorgeous view from the balcony of the ocean and tonnes of space! The bed was sooo comfy! We enjoyed our time here as a family of 4! 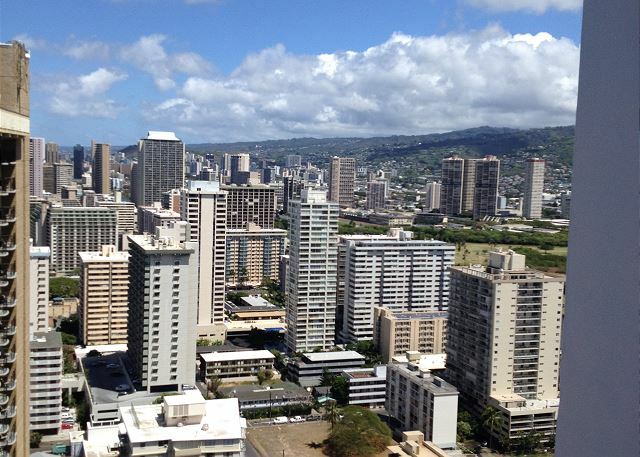 The beach was a block away and all of the famous shopping in Waikiki was less than half a mile away. We enjoyed spending mornings at the beach and taking strolls in the afternoon. We rented a car for a few days and got to get around the island. Everyone was kind and we had a good time. 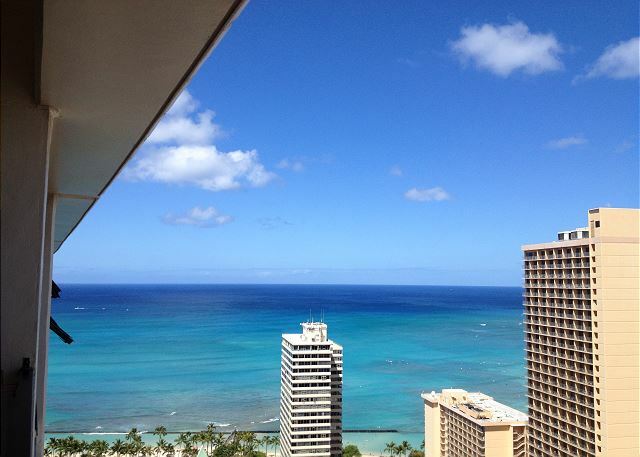 HAd a great time...the condo complex was quiet and close to the beach and shopping in Waikiki. Did lots of walking around and biking. 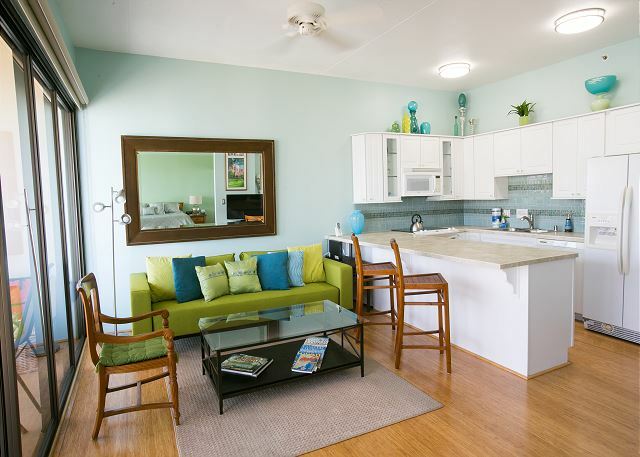 We stayed at Waikiki Batman 3708-1 with our year and a half old baby and it was perfect for us. The kitchen was well equipped, and the place was so clean and comfortable. When we had an emergency on a Friday night we were able to reach someone from the company right away. 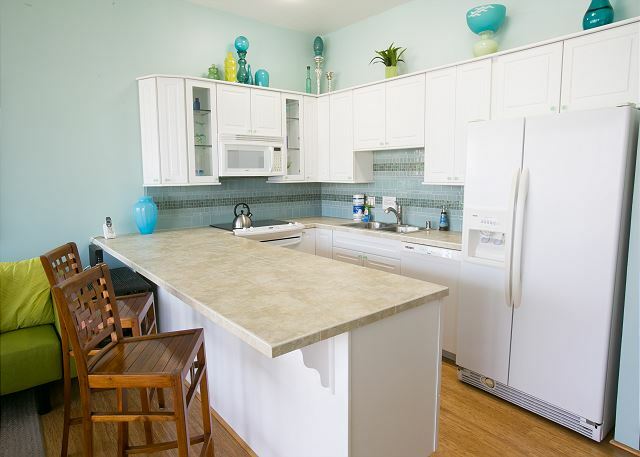 The location is also wonderful and close to a grocery store and the beach. Great ocean view. Beautiful modern interior. Blocks from beach. Free parking an extra bonus. We really enjoyed our stay here. We have a 4 year old and an 18 month old, and it worked out perfectly. The view from the balcony was spectacular. The parking was free, and there was a small cafe and small convenient store in the lobby for essentials. We enjoyed walking to the beach and to restaurants for breakfast, lunch, and dinner. The zoo and aquarium are both walkable. This is a great place to stay! Clean, well equipped, and pretty comfy! Not super quiet, but all the noise was from outside - as we expected. Well worth the price, especially since the parking was free, and there weren't any additional condo fees added on. We would stay there again. Looks exactly like the photos which was great.